America Ferrera’s New Show: Zulia State City Planner? 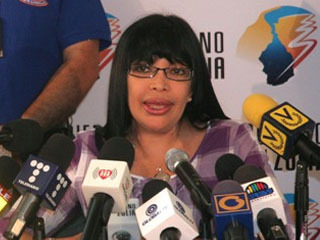 This is another one of my posts that’s completely unrelated to music, but I couldn’t help notice the resemblance between Venezuela’s Zulia state city planner Odalis Caldera and the beloved ABC character Ugly Betty. Maybe she got her inspiration from the show, who knows? Is she aware that she looks just like Ugly Betty? We’ll never know.